Our good friend, and noted comic book historian, author, and lecturer, Arlen Schumer joined us to talk about how Stan Lee committed the greatest art crime of the 20th century, why The Twilight Zone has stood the test of time, the racist origins of Marvel’s Black Panther’s costume, Batman: The Animated Series, and a lot more. 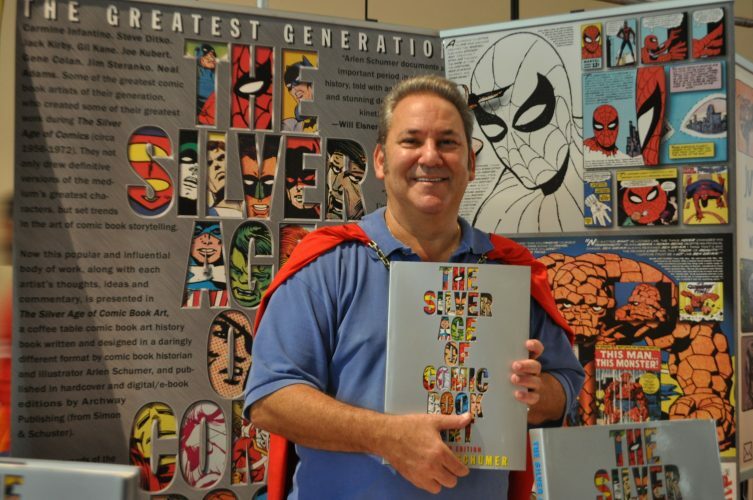 Arlen has taken it upon himself to teach others about just how influential and important the Silver Age actually was to comic book storytelling, and to art in general. He is the author of the award-winning book, The Silver Age of Comic Book Art, and has given numerous lectures all across the country on the subject of comic book art and history, Batman: The Animated Series, Jack Kirby, The Twilight Zone, and more. He also has lectures planned on Black Panther, 1968, and Bruce Springsteen coming later this year. You can follow Arlen on his website, Facebook, Instagram, Twitter, Tumblr, and YouTube. And while you’re at it, go buy his book. You’ll be glad you did!